PKCano 4 months, 1 week ago. Since it’s on preview schedule, it won’t install automatically. It’s up to seekers and other funny folks to tell the world about themselves and their findings. Hey Woody (and all), you might find this Quora post from a developer on the Windows Update team to be an interesting read. He talks about the complications around why most updates require a reboot, and acknowledges that they need to be a lot better at quality and testing. Seems like there’s a new .net (Preview) update to go with that KB4469342, https://support.microsoft.com/en-ph/help/4469041/december-5-2018-kb4469041 just popped in tonight on Win10Pro 1809 with no deferments set using WUMT. Are we doing previews now with Win10 1809?? Yes, but I believe it is pushed if you actively seek, which means click the ‘Check for updates’ button. 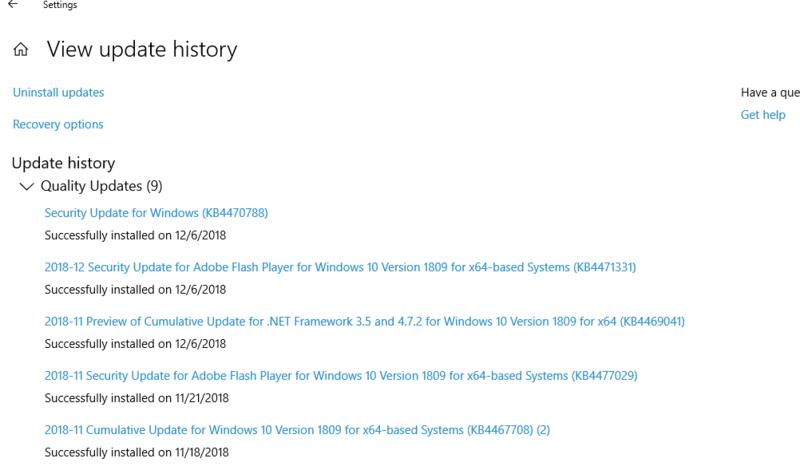 Yesterday, when I used my laptop with 1809, I saw that Windows Update was automatically downloading the Flash Player Security Update and the .net Framework Preview. I DID NOT press the “Check for updates” button. I ran wushowhide.diagcab to hide it before it had the time to install. So it looks like .net Framework Preview Updates that are optional on Windows 7 and Windows 8.1 are now mandatory for Windows 10 1809 users. I hope it was a mistake and Microsoft didn’t do this on purpose. 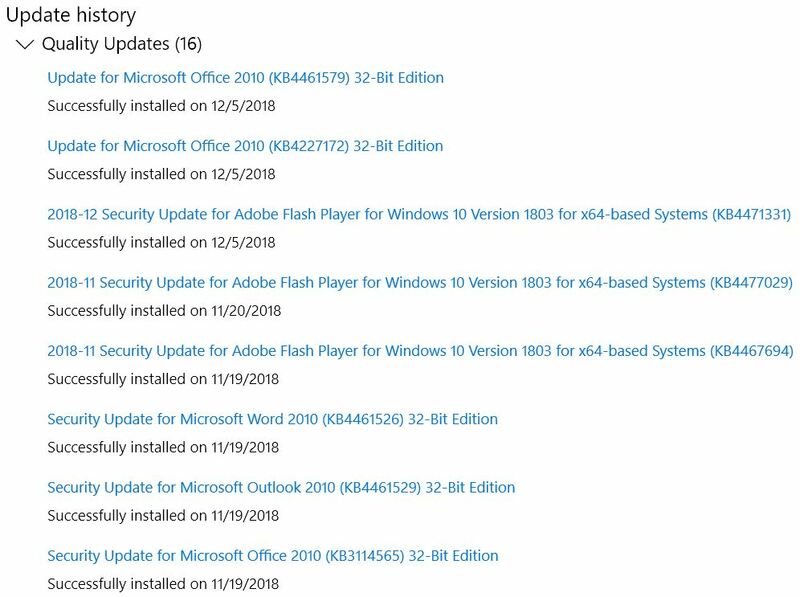 Check all the things MS has blocked for 1809 installation. Do you have any of the hdw or s/w? Seeking does me no good, either. 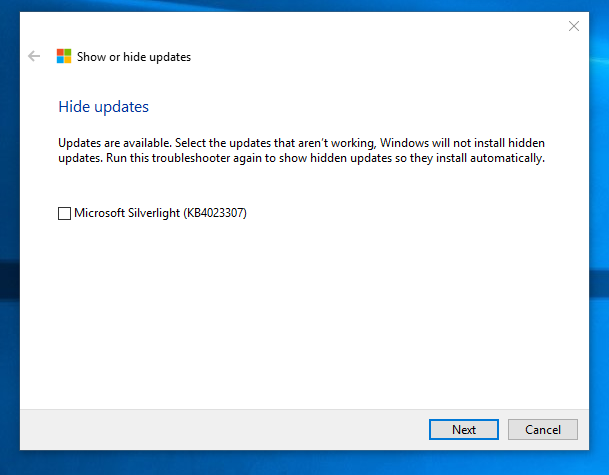 You might want to try manually installing the Servicing Stack Update KB 4470788. @EdTittel reports on Tenforums that he needed that SSU first. Downloaded and installed the SSU OK. Waited, even rebooted and waited again. No joy here in wushowhide OR WU Check for updates. Yes I’m on 1803, the top article is about 1809 being back in Windows Update? Sought the errant KB4469342 and finally installed after 2 abortive attempts with error “Failed to install on ‎06/‎12/‎2018 – 0x8024200d” it could well be that M$ is making a pre requisite SSU to install a cumm. update as a way of stymying attempts to block updates as my WUMT here isn’t picking them up here although plainly available with the infamous “Seek” As the SSU is to be installed first its entirely possible that WUMT or WUSHOWHIDE?? wont pick them up as they require an SSU first, seems to me here least ways “he says removing tin foil Hat” WUMT snagged a .net above last night now hidden but never detected KB4469342 even though it was available, not being a “seeker” by nature, curiouser and curiouser. 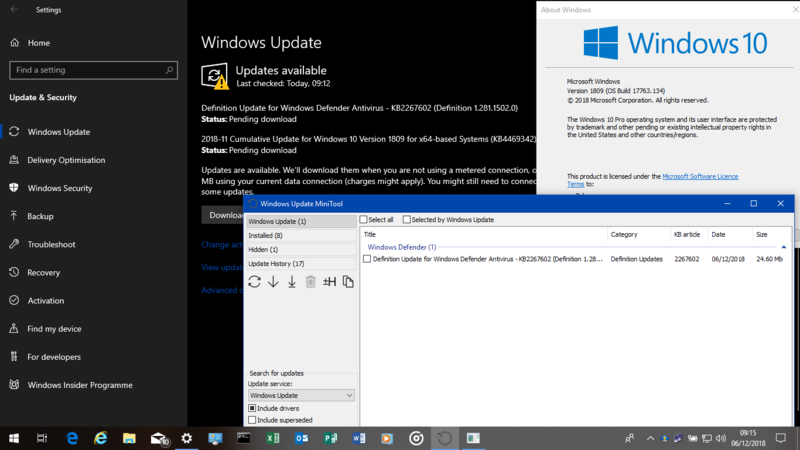 Any ways it installed ok might just reinstate deferments here for the next patch Tuesday. Got tired of waiting downloaded the Update Assistant. Update to 1809 in progress. .NET Preview has been released for 1809 as well (https://blogs.msdn.microsoft.com/dotnet/2018/12/05/net-framework-december-4-2018-preview-of-cumulative-update-for-windows-10-version-1809-and-windows-server-2019/). Windows update interrupts Snooker match (https://au.eurosport.com/snooker/uk-championship/2018-2019/snooker-windows-update-of-scoreboard-interrupts-play-during-allen-robertson-match_vid1142508/video.shtml). Windows 10, the most productive Windows ever! and Feature Updates are received” was set (Semi Annual Channel, defer feature updates for 365 days). (i.e. semi-annual OS upgrades), and not about quality updates (which this update is). in the way they were designed ? on v1809. GPO set to semi-annual channel, deferral to 365 days. 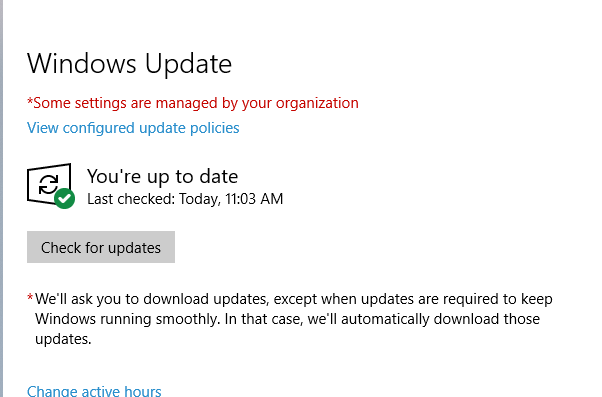 I did not get the update as long as the Group Policy “Select when Preview Builds and Feature Updates are received” was set (Semi Annual Channel, defer feature updates for 365 days). I believe you got what you asked for. The time here was 18:33, but Windows Defender showed Last Update 19:33, one hour ahead of real time. Is this a new bug, or did I mess up something? Nothing else to report so far, exept the .NET preview which i uninstalled afterwards. I wonder if that was Malice, Incompetence or Poor Scheduling on M$ part?